In 1867, gold discoveries on 'The Thames' transformed this beautiful part of the Coromandel Peninsula into an international phenomenon attracting thousands of eager gold-seekers from all over the world. It also created what was, by the early 1870s, New Zealand’s most populous town - Thames, made up of Grahamstown and Shortland. In 1885, Thames became the location of one of 30 national Schools of Mines, opened to stimulate the returns from mining. 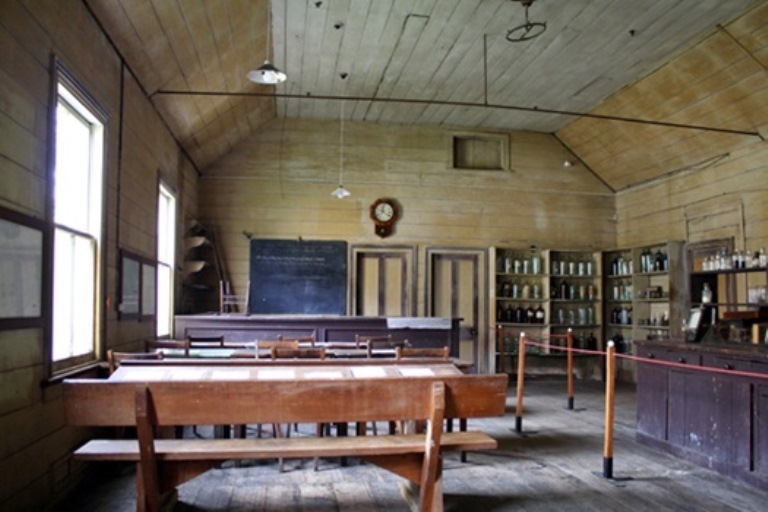 In 1886, this school moved to its permanent site in a former Wesleyan Sunday School, on the site of a Māori urupā (burial ground). 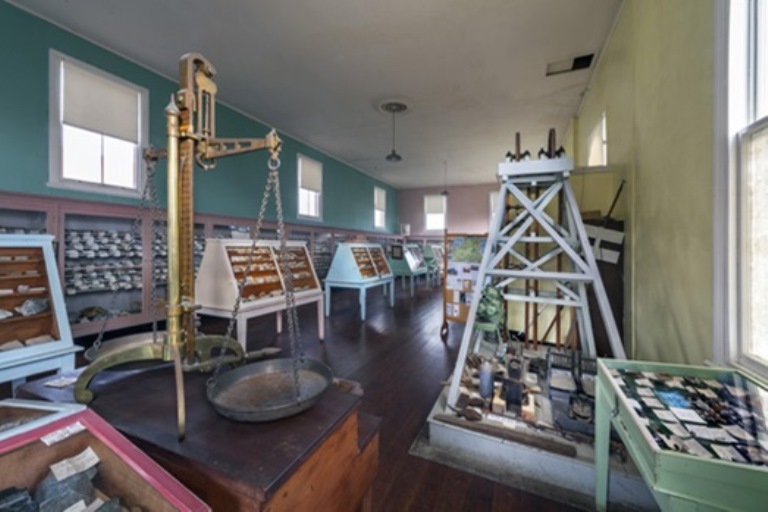 Additional buildings included the 1888 Experimental Metallurgical Works, and the Mineral Museum built in 1900. The school’s curriculum expanded to embrace agricultural science, pharmacology and other engineering disciplines before it eventually closed in 1954. The Historic Places Trust (now Heritage New Zealand) acquired it in 1979. Today, a visit to Thames School of Mines opens the book on early New Zealand history, starting with the chief Te Apurangi whose descendants lie in the sacred urupā. The original education buildings look (and smell!) 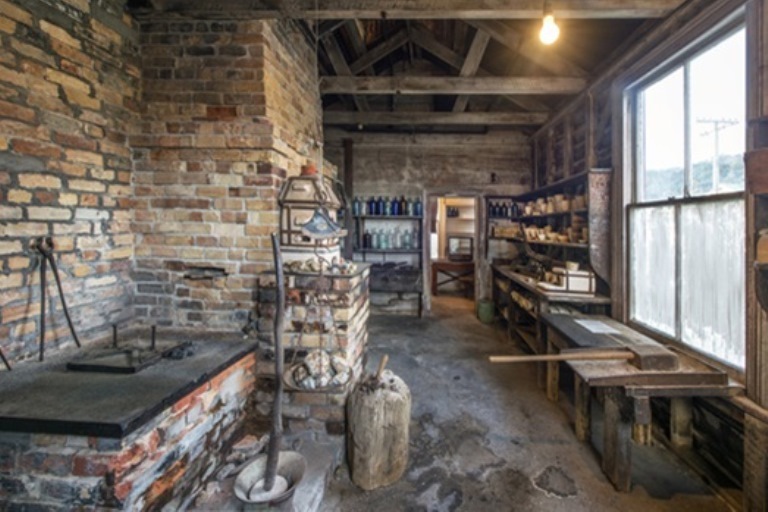 much the same as they did in the past, and feature authentic period equipment and laboratories. The Mineralogical Museum holds one of the best collections in the Southern Hemisphere, with more than 3000 specimens which include fossils from both New Zealand and abroad. Guided tours bring this special site to life with captivating stories about the Hauraki area’s people and places. 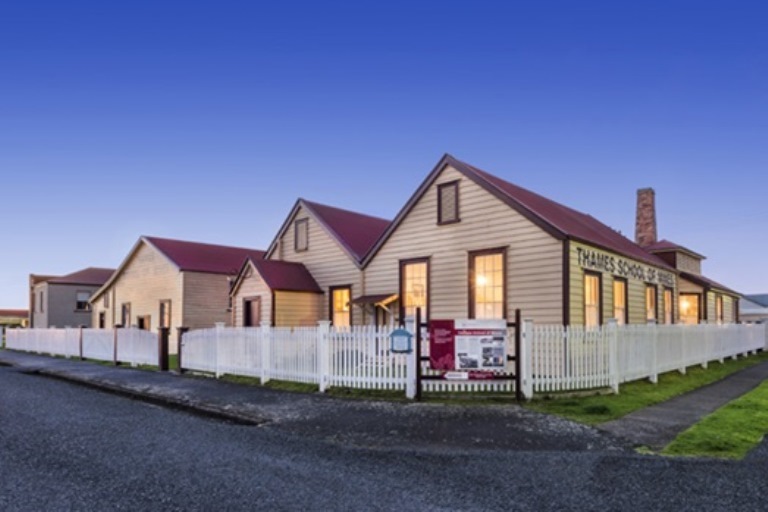 A few minutes’ walk from the centre of town, the Thames School of Mines is also an excellent venue for school or group tours, and a great place to start your exploration of the Thames and other historic Hauraki gold fields.